Our dear Shaykh - May Allāh bless you - some brothers have initiated doubt concerning the prayer timings in their localities. Thus, some of them think that he can eat and drink until Fajr is clear to him in his house (by looking out of the window to see it) and some say that the timings like that of Umm al-Qurā are not to be relied upon, noting that most of them are in the West and live in cities and do not know how to distinguish the commencement of the prayer times, so what is your advice regarding this Bārak Allāh fīk? The following is a highly informative article written by Shaykh Badr al-Badr al-'Anazy (حفظه الله) regarding the affair of offering condolences in Islaam. 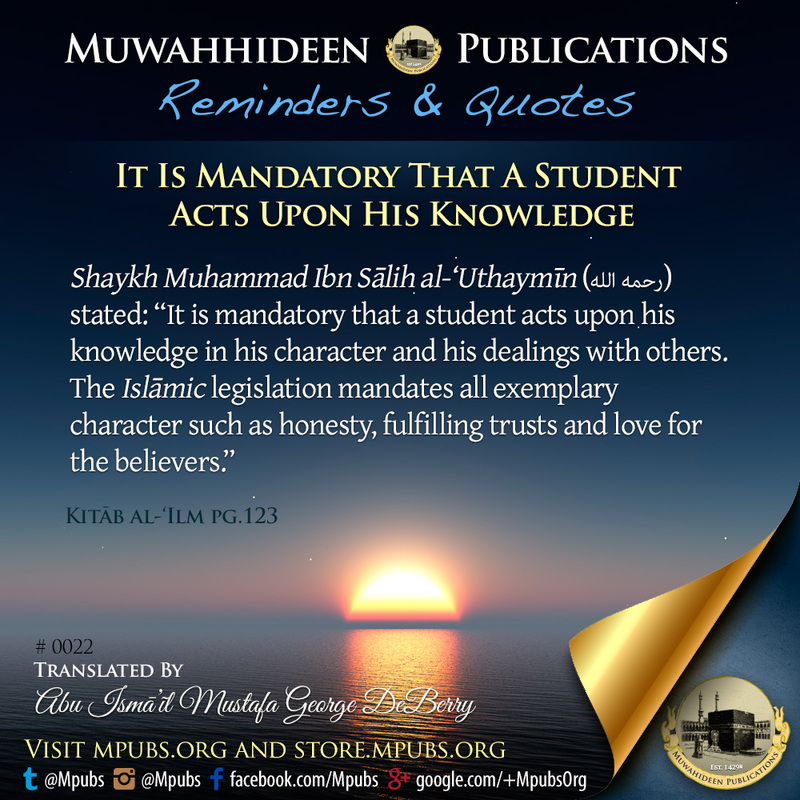 This article was translated by our noble brother Abu Afnaan Muhammad 'Abdullah (حفظه الله), who has explicit written permission from the Shaykh to translate his articles click here to read. One of the brothers from MPubs asked three noble mashaayikh, Shaykh Khalid Ibn 'AbdurRahmaan al-Misree, Shaykh Muhammad ibn Rabee al-Madkhalee, Shaykh 'Abdullah an-Najmi and Shaykh Badr ibn Muhammad al-Badr (hafidhahumllaah) the issue of whether it is a condition for every masjid in a locality to see the eclipse in order to prayer the eclipse prayer.